A new addition to Boynton’s staff. Mike Boynton will add FAU assistant Erik Pastrana to his staff, CBS’s Jon Rothstein reports. 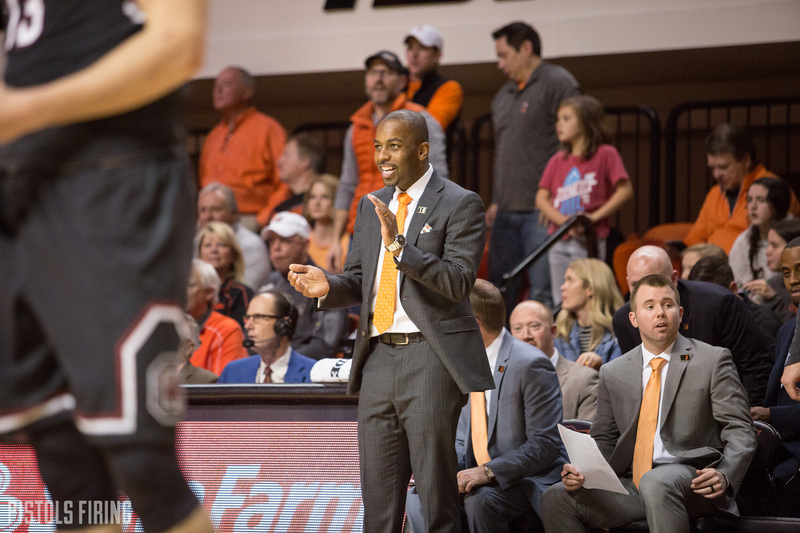 Source: Oklahoma State's Mike Boynton will hire Florida Atlantic's Erik Pastrana as an assistant coach. Pastrana coached with Boynton on Brad Underwood’s staff at Stephen F. Austin. Pastrana, a Miami native, is also a Kansas State graduate, where he served as a graduate assistant to Frank Martin from 2007-09. He spent only one season at Florida Atlantic. The Owls finished the year 17-16. Before that, he was the head coach at Daytona State College. He led Daytona State to a 19-12 record last season. Pastrana has also spent time as an assistant at Florida International, Labette Community College and Northwest Florida State College. He was on hand for Northwest Florida State’s 2012-13 NJCAA national championship after that team went 30-4.